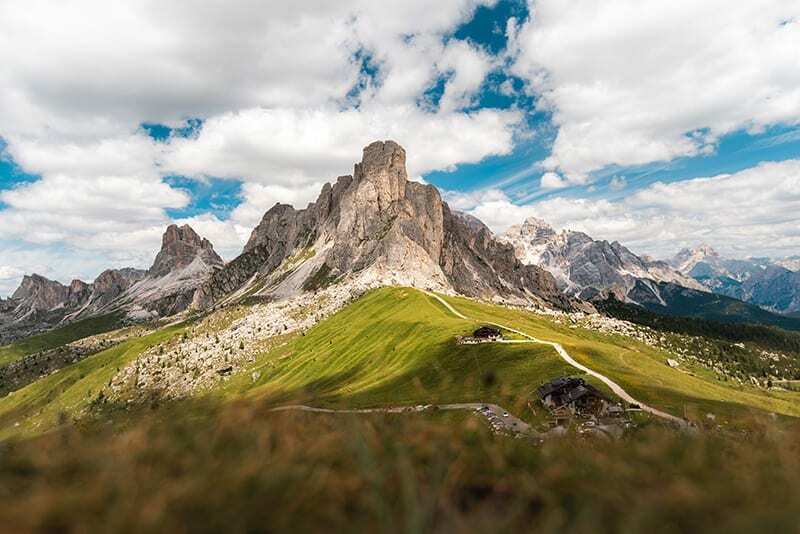 There are few more beautiful places in the world than the mountain ranges in Italy, with places such as Giao Pass, Lago di Braies, Seceda and Tre Cime di Laveredo simply taking the breath away. These are idyllic places to visit during the summer season and welcome thousands of hikers every year. At Wombat we’re big believers in going out to explore the great outdoors and all our products are designed to help you get the most from your holiday adventures. We’ve put together a small collection of some of our best travel bags and accessories to help you along the way. When you’re out hiking you don’t have to rush to keep pace with any of the experts. It’s all about taking your time and taking in the stunning views and scenery you rarely get to see stuck working in the city. Like anything else, hiking is a skill you get better with the more you do it, and keeping safe is the most important thing for everyone, whether you’ve done it dozens of times or only on a couple of occasions. It helps if you can rely on a reliable bag to carry your essentials for the day too, one that will stand up to the testing elements and challenges thrown at it. 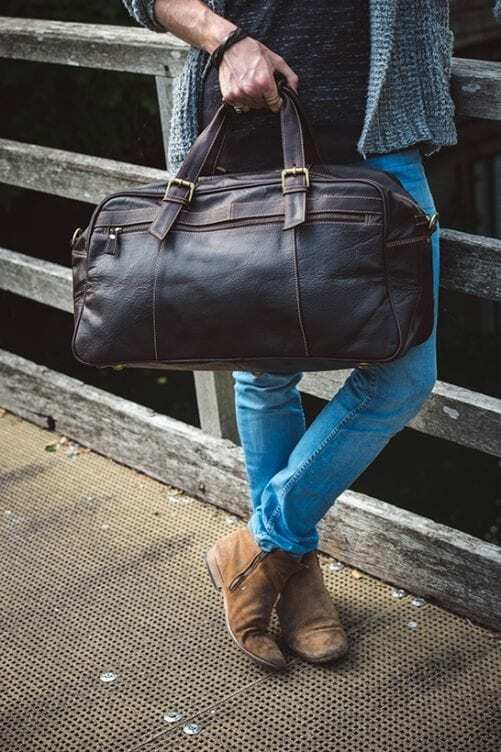 It takes time to become an expert yourself but at least the Outback Brown Leather Holdall Travel Bag will make you feel like you at least look the part. A big part of that is down to the natural texture and feel of the leather that calls back to the unique appearance of the animal’s skin itself. A cow’s hide is made for the outdoors and that will ensure this bag will get you through any big test thrown at you. There’s plenty of room inside with additional internal pockets for extra items and an adjustable strap to make it easy to carry long distances. Rucksacks are almost unbeatable when it comes to keeping all your things together without making it an ordeal to carry around. If going on a hiking holiday, or camping somewhere for a few days, you’ll no doubt want to venture out to explore the wider area. Rather than carrying your whole life around with you on a small expedition, a small rucksack will do the perfect job. Any traveller will tell you how important a rucksack has been to them over the years because they are just so comfortable and convenient. The Outback soft oiled leather backpack is easy to slip over your shoulders so no time is wasted hoisting it up and down whenever you need to access your belongings inside. Not only that, it looks amazing with summer wear, and who doesn’t want to great while out in nature? The buckle straps are not just a cool finishing touch but also an important security measure to keep everything safe inside as you tread along uneven surfaces. You can keep your water, phone, bug spray and anything other essentials with you to make the journey one to remember. Not every trip to the great outdoors is going to need a large bag, so even if you are out for just a couple of days you’ll want the right size to do the job. The next battle is figuring out the clothes to bring with you, meaning you’ll have to be quite selective and make some hard choices. Basic toiletries will always be needed and that should really be the start point so you can deal with whatever space is left once they are packed away. Without a doubt you’ll need clothes that are versatile as you never know if the weather might suddenly decide to suddenly change its mood. 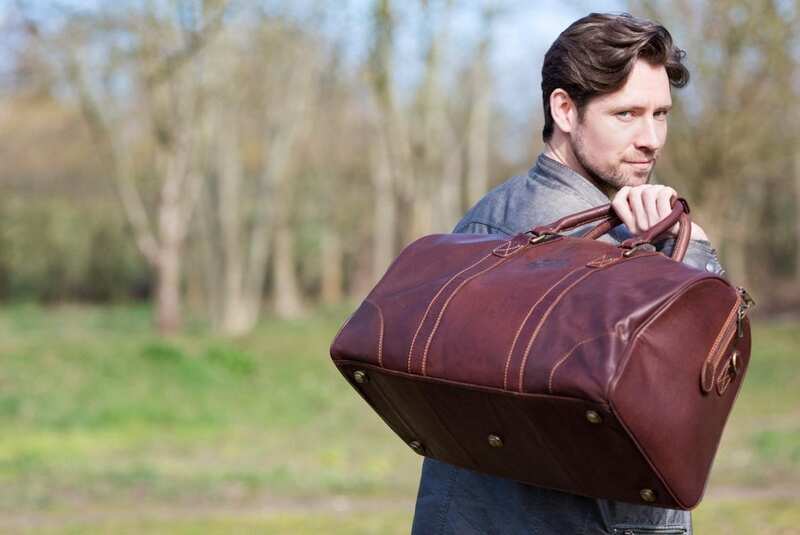 Our thick oiled leather travel bag is just the job for those short outdoor adventures. It fits easily into your hands, or over the shoulder and doesn’t weigh you down on your way there and back. 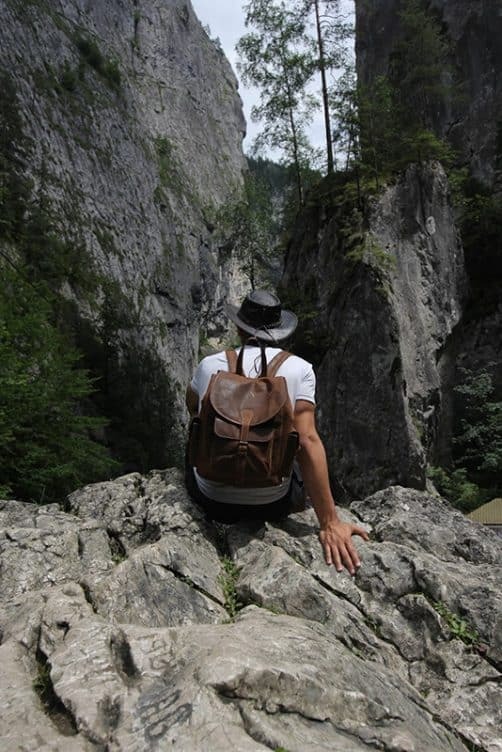 The stylish dark brown hue of the leather also makes it a natural fit for the natural surroundings you’ll be in. In terms of room there is more than enough to go round, with an additional internal zipped pocket and pouch to tuck away any extras. This is a tough and durable travel bag made from the finest leather that ticks all the right boxes. Whenever you go away, even out into the mountains, or rolling hills, you don’t want to completely give up on your hygiene or appearance. Feeling good is as important as looking good, so you’ll want to bring away the essential toiletries to keep you ticking over. A good way of keeping your toiletries separate and is to pack away another smaller bag you can use on your hiking trips. When you need to use the bag, you put the toiletries to one side, and when return, you place them back inside again. It gives you the best of both worlds. 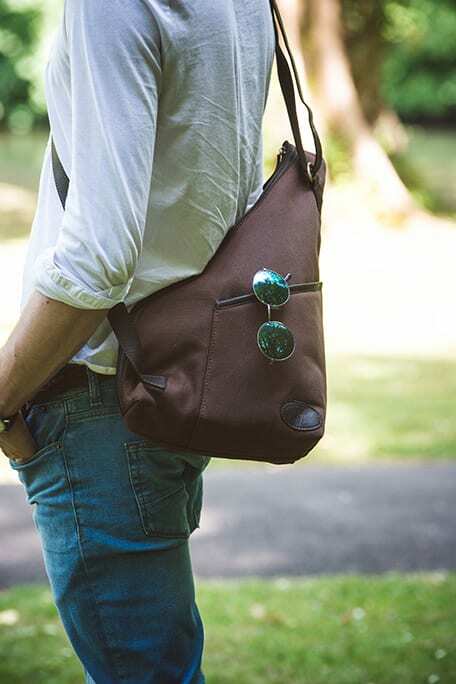 Something like the Sling Backpack Bag would be perfect as it brings together functionality with style. It can be easily pulled out of your travel bag and put back in without too much of a fuss, tucked away to store toiletries while you travel to your main hiking destination, and then taken out and used for short excursions during the day. Not only does the top zip open to reveal the main compartment but inside you’ll find an internal zipped and pouched pockets. It can be easily carried over your shoulder without hassle, and is compact enough to fit snuggly into a larger travel bag when needed. 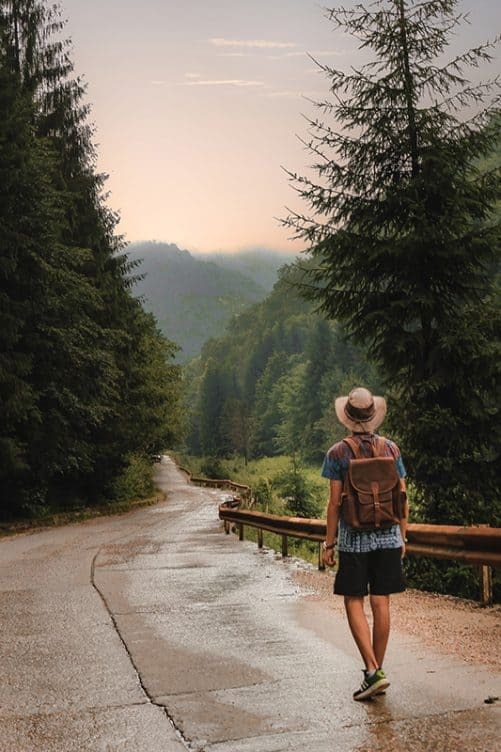 Even if you are going out into the wild you’ll always bring your wallet with you because you’re going to need money at some point, whether it’s on an excursion into a nearby town, or just on the way there and back. With the constant dipping in and out of your travel bag throughout your break it’s easy to misplace things or even lose them after you put them to one side and forget about them completely. The last thing you want to do at any point in your life is to lose your wallet but thankfully there is a solution. Rather than stuff it into the side zip or buried under a pile of clothes you have to ruffle through every time to get it, why not keep it close by at all times? Putting it in your pocket is too risky with all that walking and our leather shoulder holster wallet is just the thing. The straps clip to the top of the holster and across the chest and it contains a rear zipped pocket along with two front zipped pockets offering plenty of storage. It’s not uncomfortable to wear and is easy to take on and off any time you please.